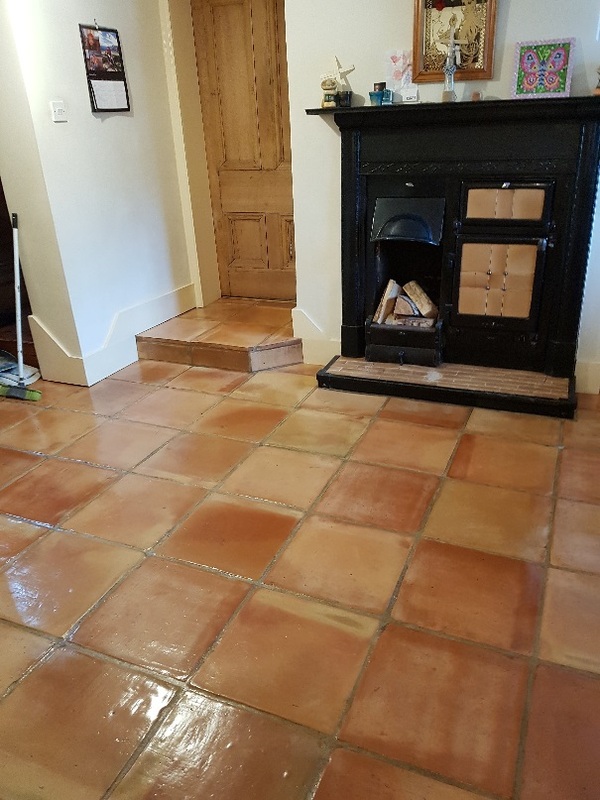 This client in the Wiltshire village of Urchfont contacted us because a competitor had attempted to restore their floor but ended up ruining it due to the over application of linseed oil which had left it both brown and sticky. 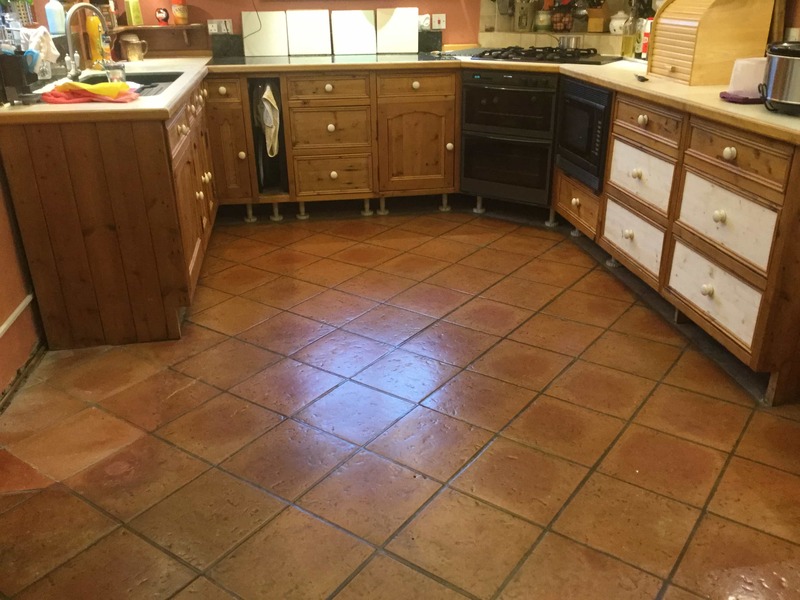 I warned the customer that we may not be able to get rid of the Linseed oil as we don’t know what products had been used previously however they were happy to proceed and they booked us in immediately after conducting a successful test. 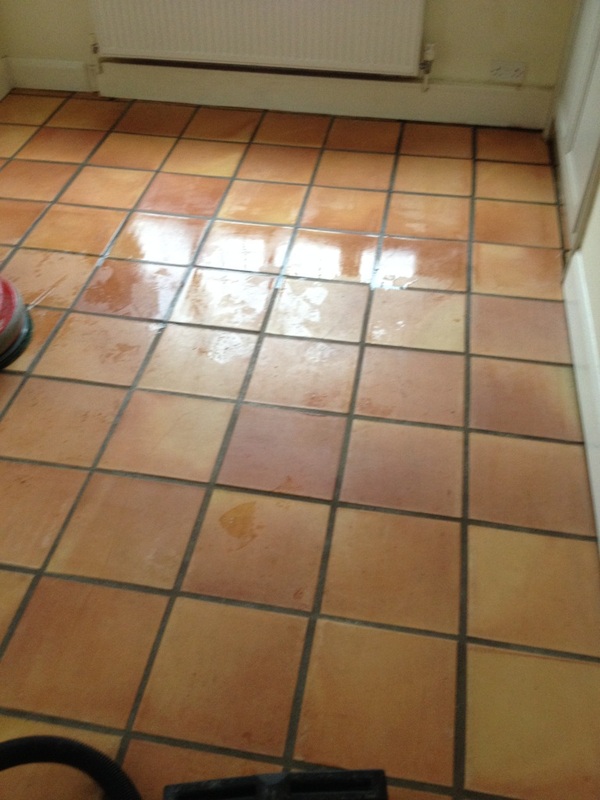 We started by smothering the floor with Tile Doctor Remove & Go leaving it to dwell and soak into the floor. 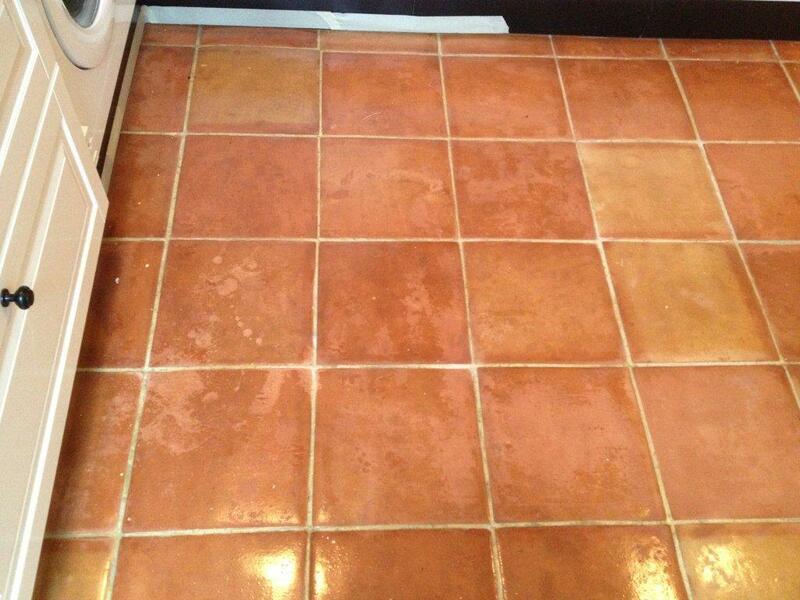 After thirty minutes the product was scrubbed into the grout lines using a stiff grout brush. 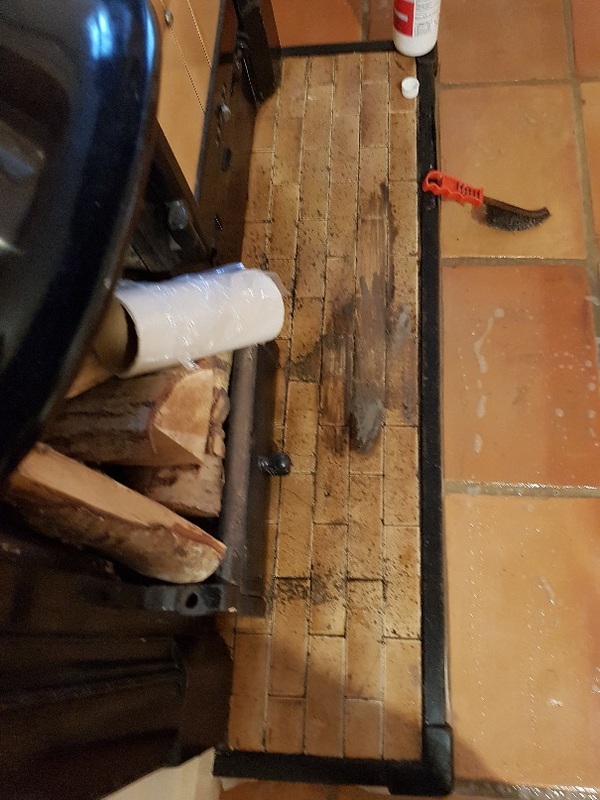 We then attached a black scrubbing pad to a rotary machine and set about trying to bust through the top layer of wax and oil. 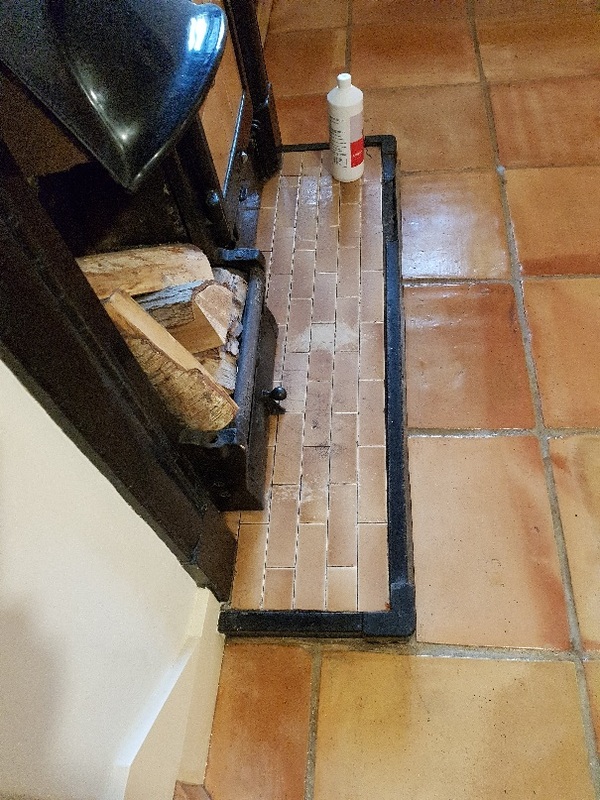 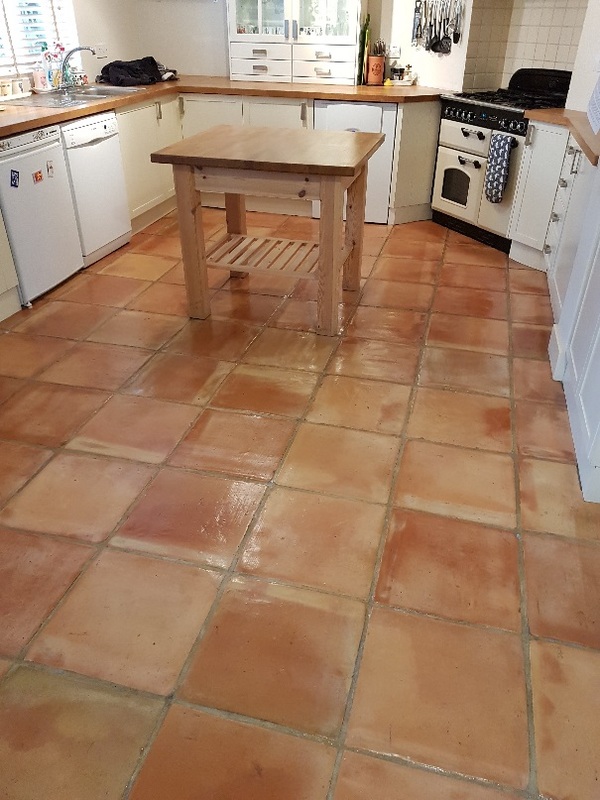 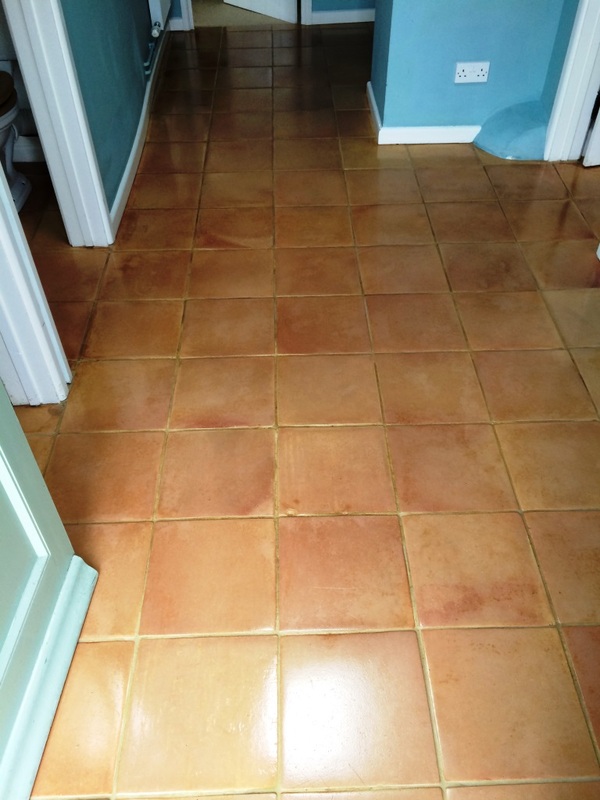 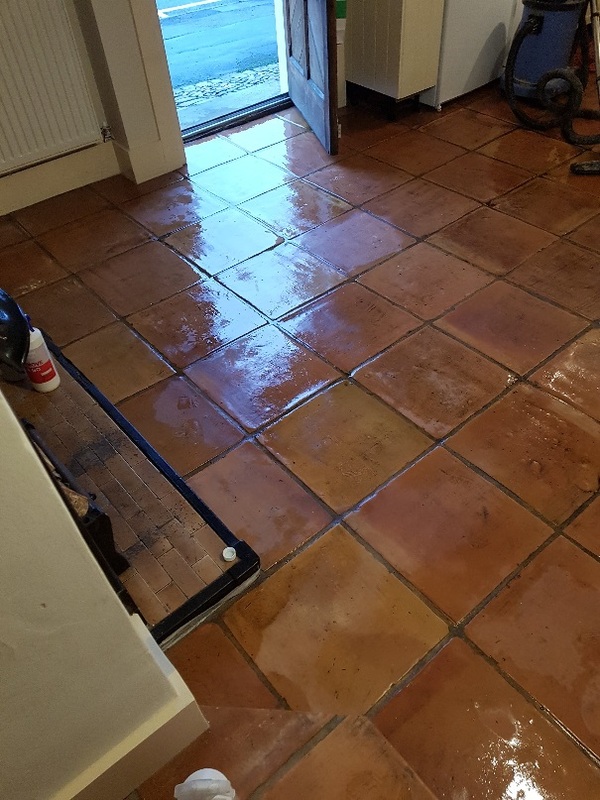 It became apparent that this particular terracotta floor was very porous indeed and that it was going to take quite a few attempts to got a section clear we rinsed the tiles thoroughly and started again. 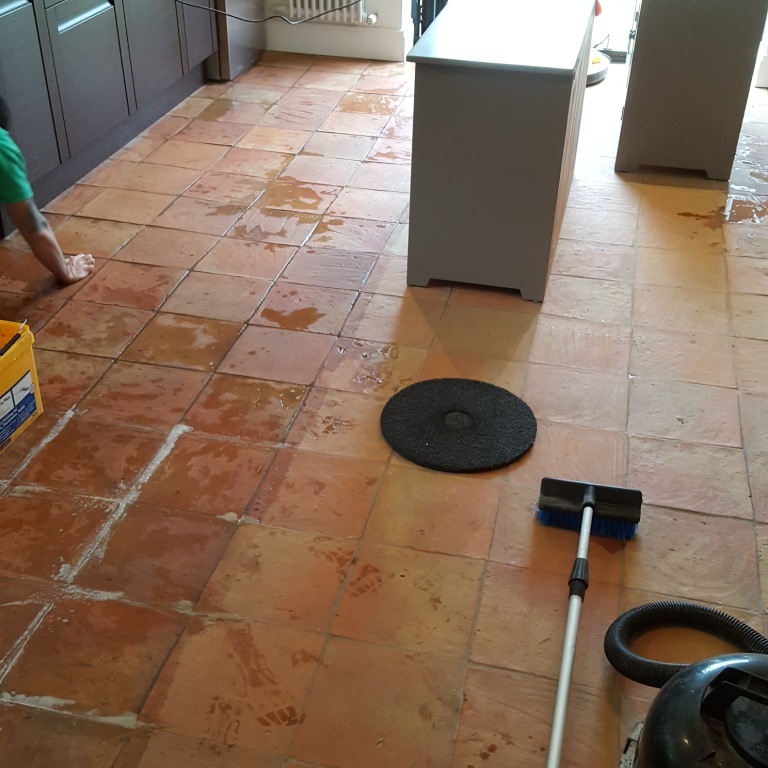 This process was repeated every five square metres so that the slurry didn’t drop back into the tile. 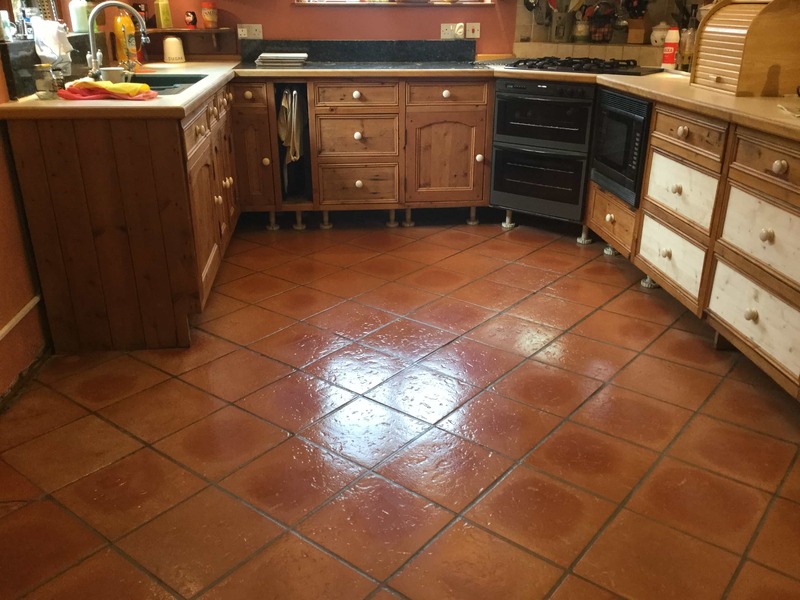 Once we were satisfied that we had removed as much of the wax and oil as possible we then used a steamer on the areas that had an increased amount of linseed oil and scrubbed vigorously with a deck brush until happy. 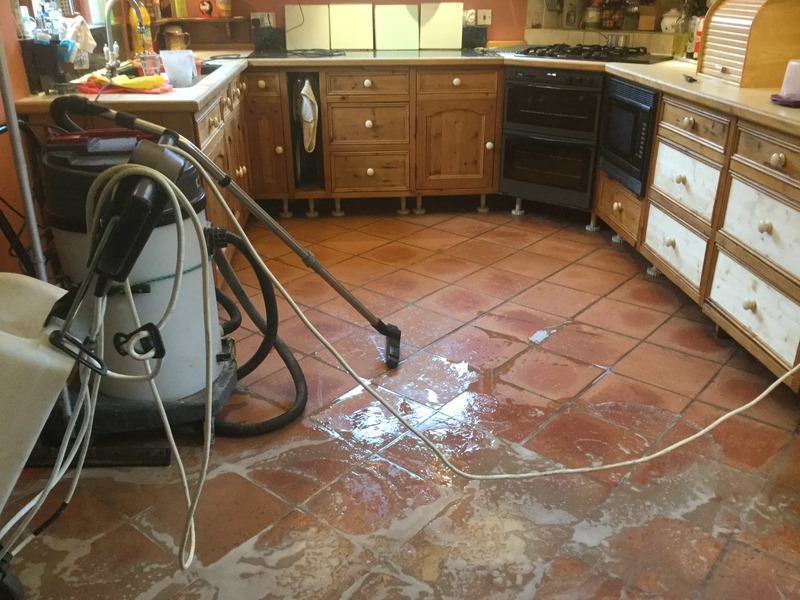 Once the entire floor was clear we rinsed the area thoroughly with fresh water to remove any trace of cleaning product using a wet vacuum to remove as much of the water as possible before leaving it to dry for 7 days. 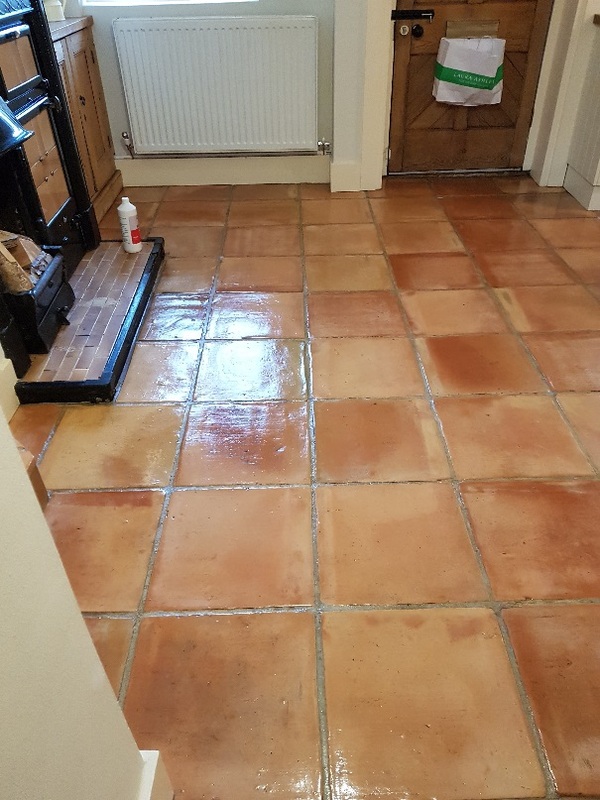 Upon our return we tested the floor using a damp meter, this is important as adding sealer to a damp floor can have unexpected results. 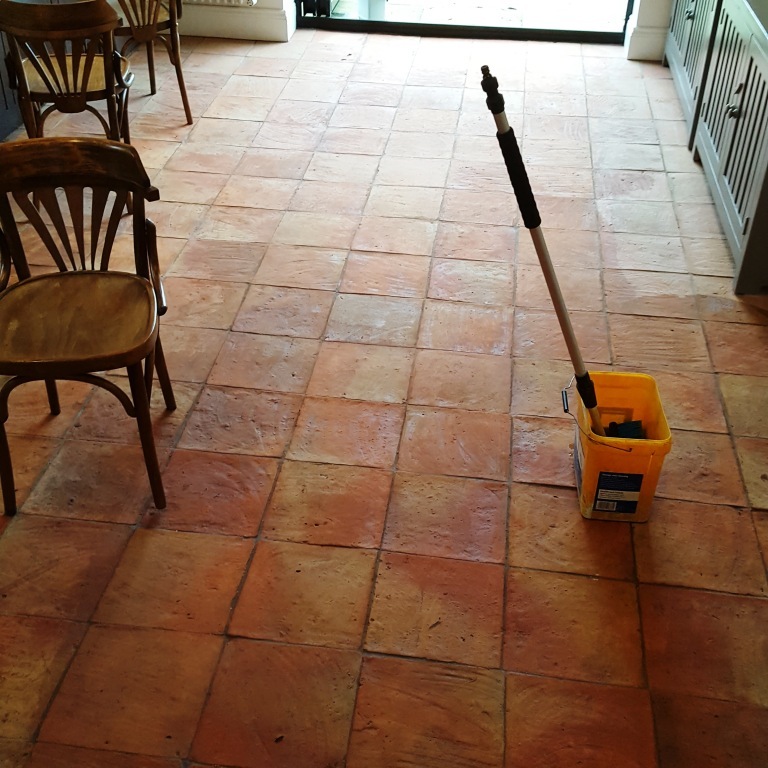 The test was OK so we began to seal the floor with Tile Doctor Seal and Go eventually applying nine coats until the tile was fully sealed. 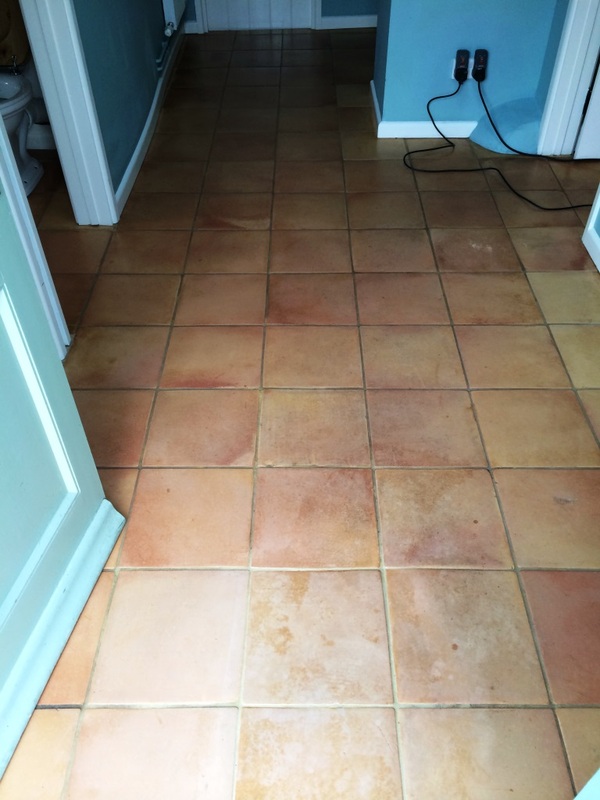 You can see from the photographs below that the floor looks much better and the sealer enhanced the look of the tile and will continue to protect it against day to day wear. 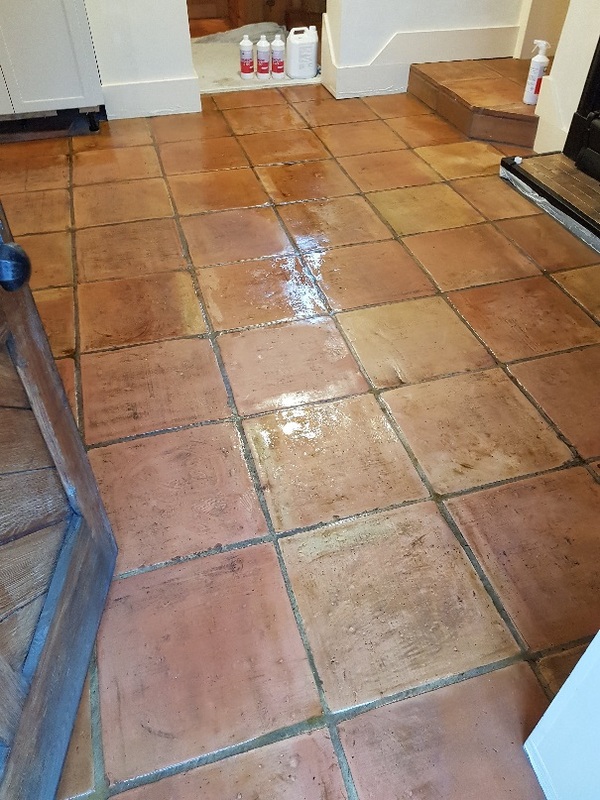 Our customer was over the moon with the result we had achieved even though not all the linseed oil could be removed due to its porosity. 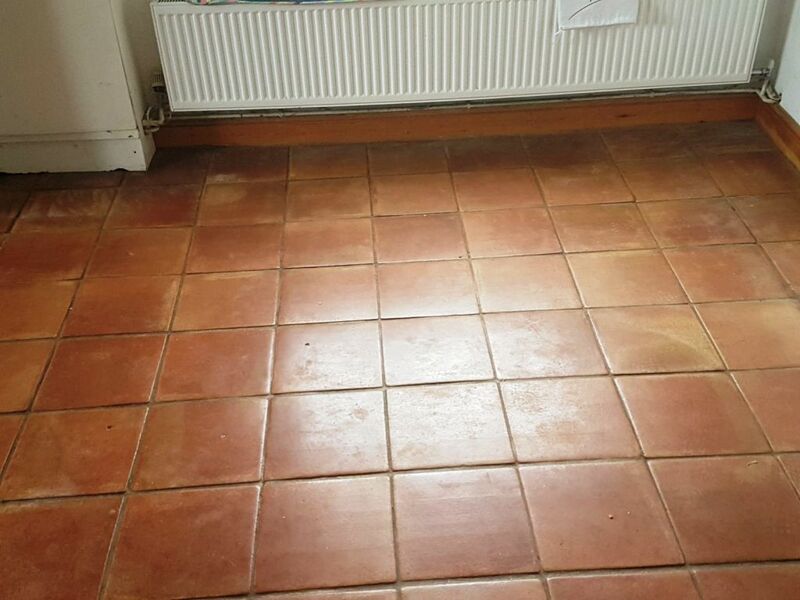 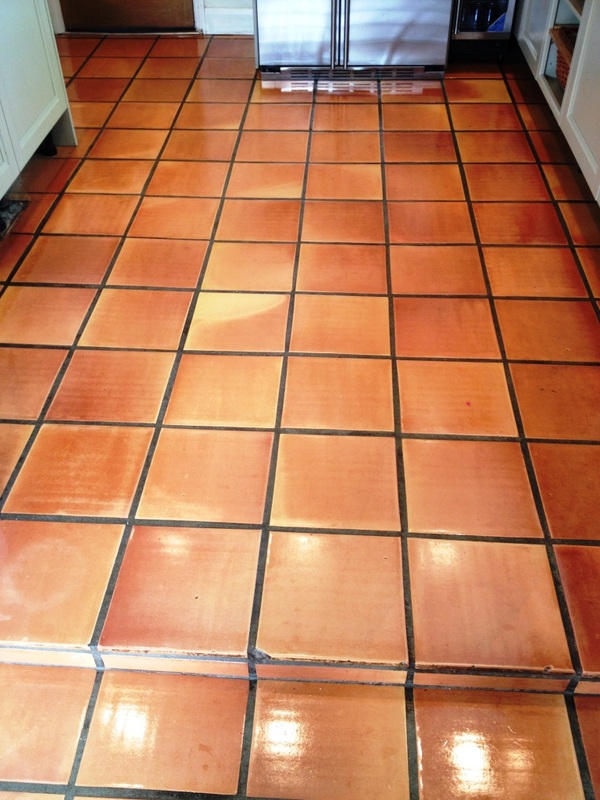 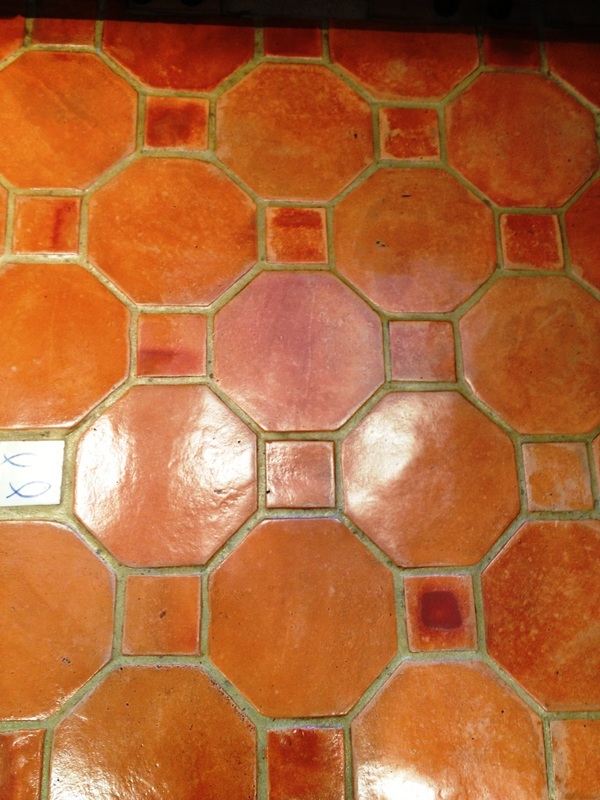 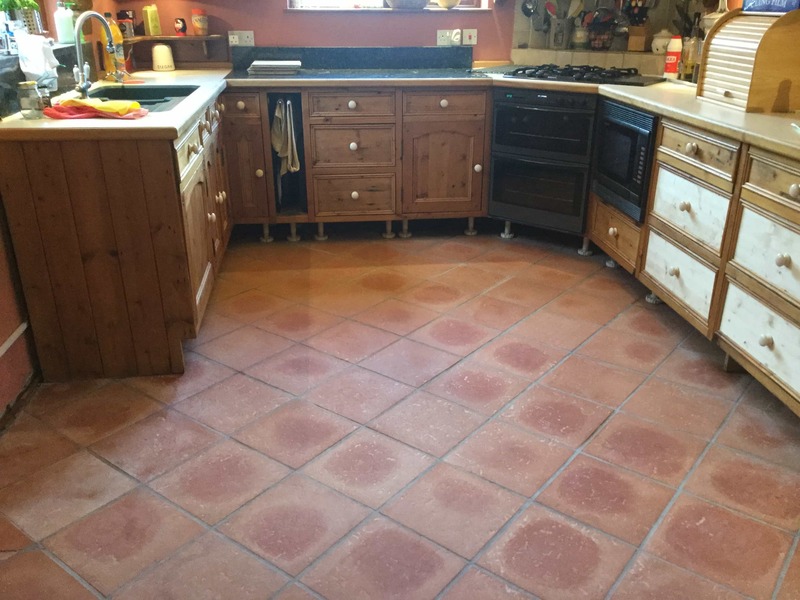 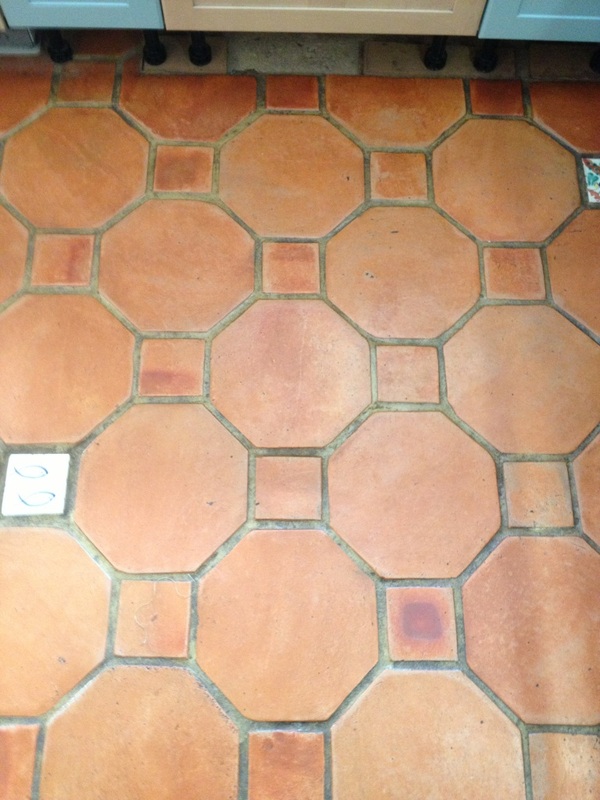 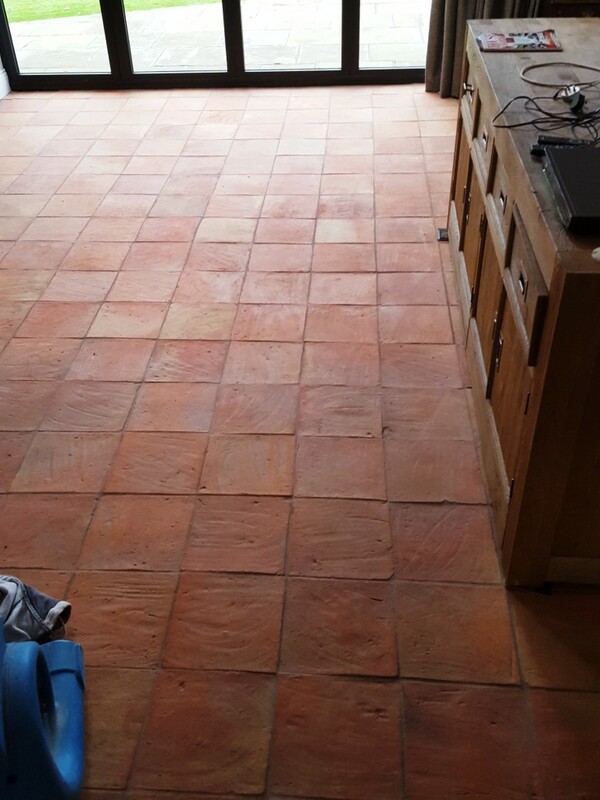 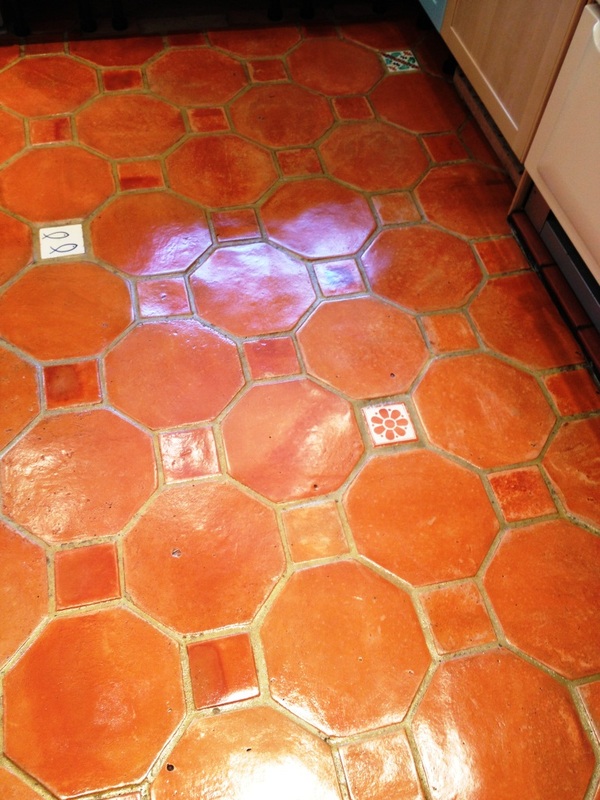 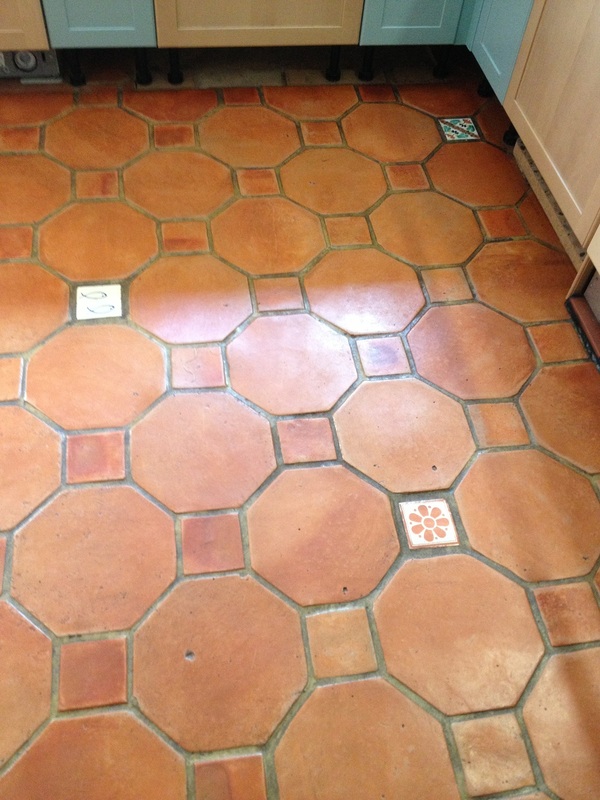 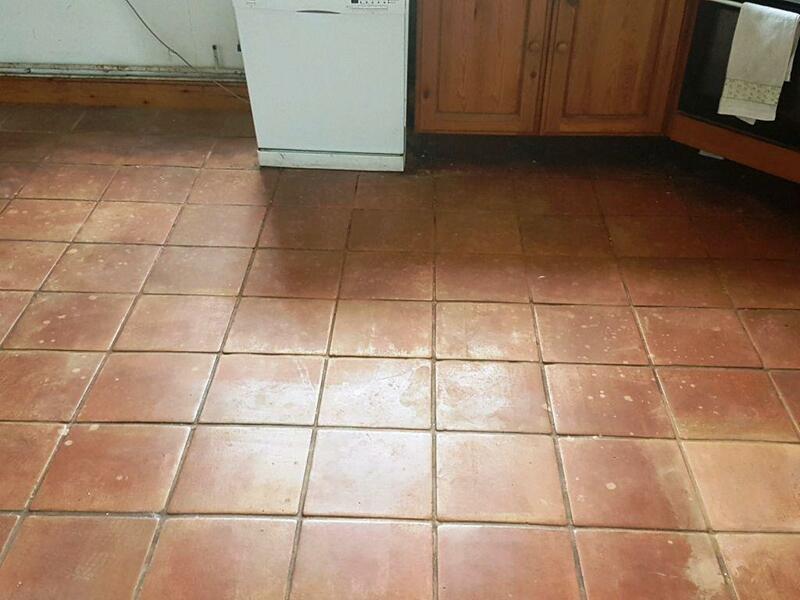 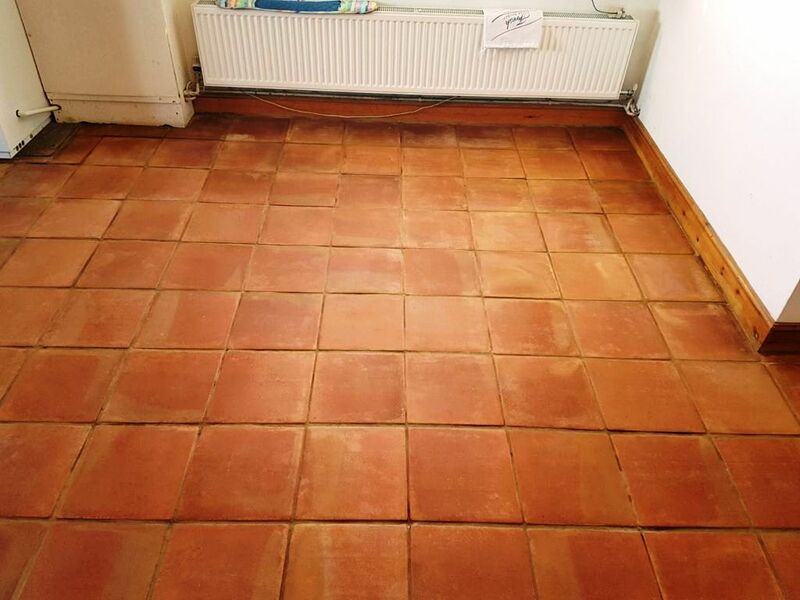 This Terracotta tiled kitchen floor in Twickenham had accumulated a high amount of soil over the years. 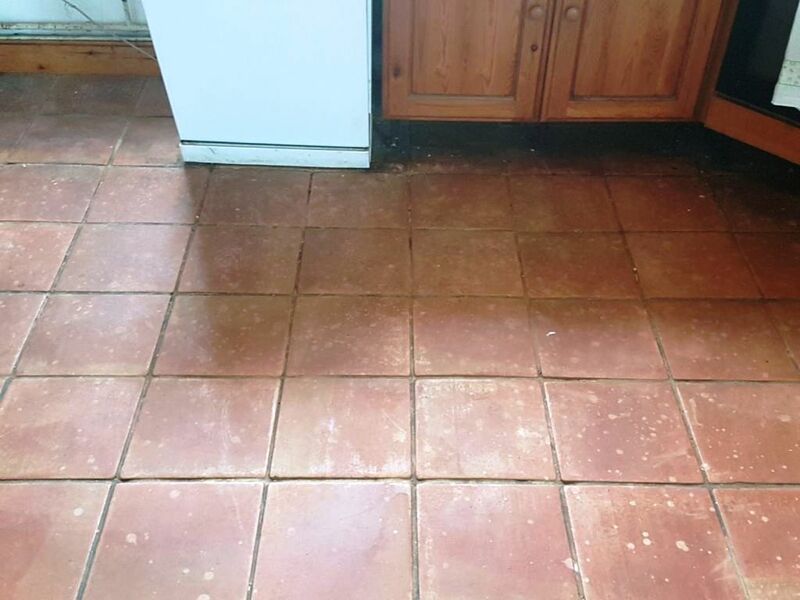 Spots and spills from kitchen activity had also proved impossible to remove by the owner which was due to the sealer breaking down; the floor was now in need of a deep clean, stripping off the old sealer and then re-sealing to ensure easy maintenance in the future. 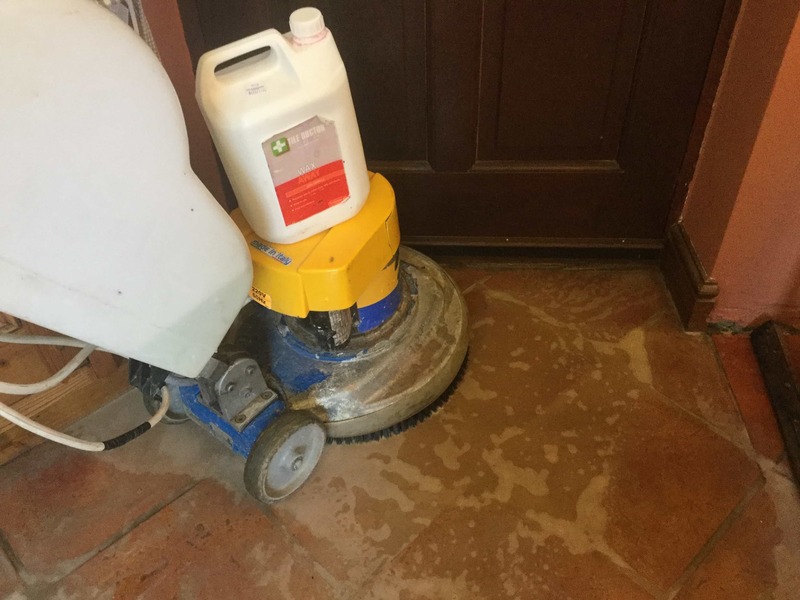 The first step was to use a rotary scrubbing machine together with Tile Doctor Pro-Clean which is a high alkaline cleaner for use with tile and stone. 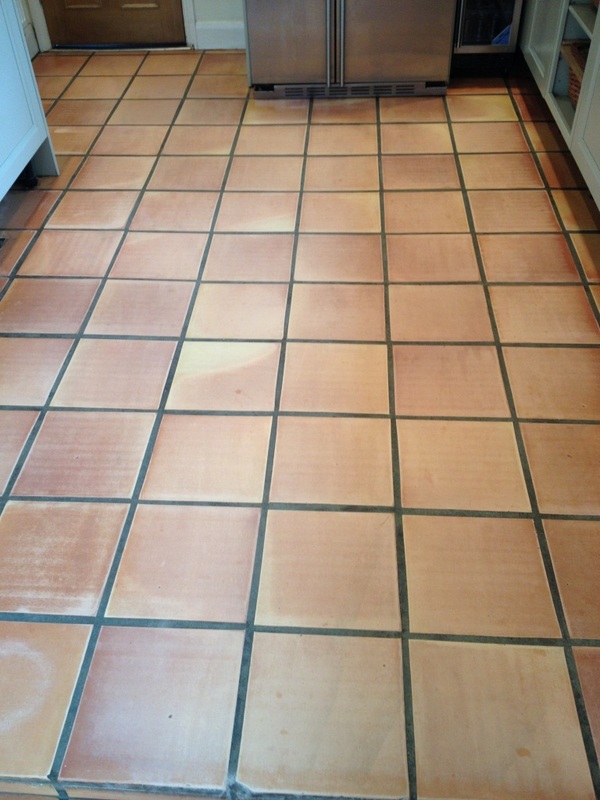 This action breaks down the soil in the tile and releases it along with the remaining old sealer. 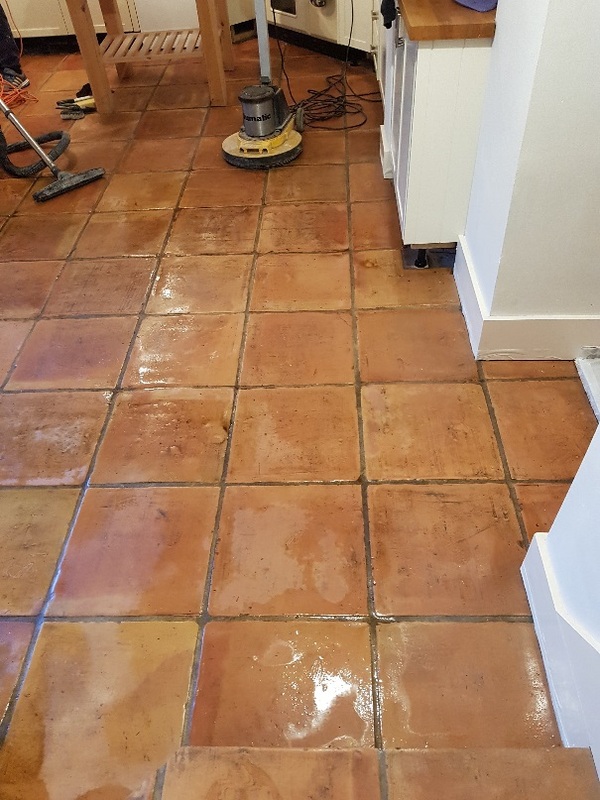 The floor was then pressure rinsed to ensure all of the dirt was removed from the pores of the tile and grout lines scrubbed by hand with a stiff brush. 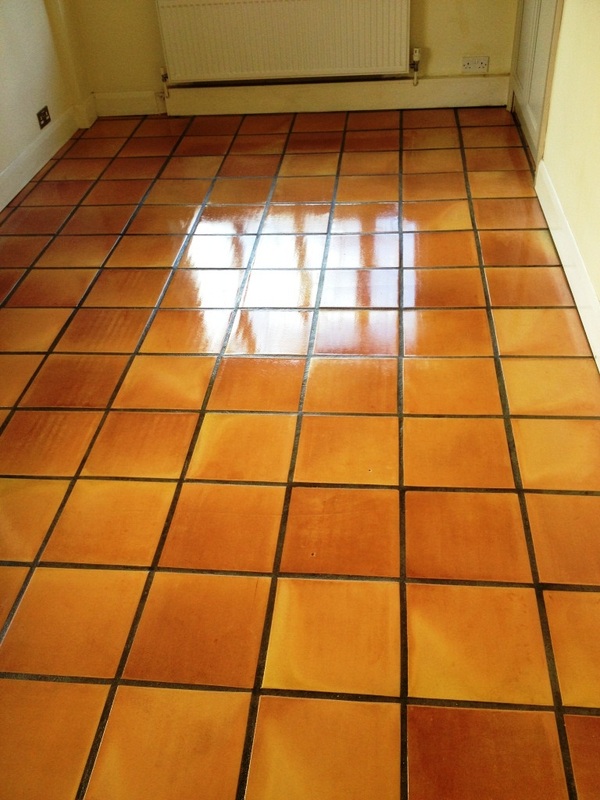 Once I was happy the floor was clean it was given a thorough rinse to remove any remaining chemical and left it to dry. 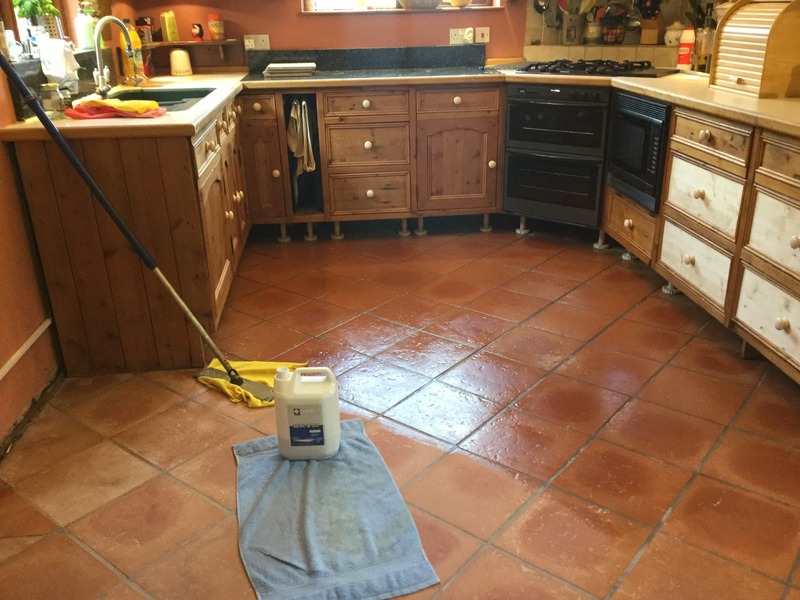 The floor was left to dry for a period of twenty four hours before sealing which was done by applying five coats of Tile Doctor Seal and Go. 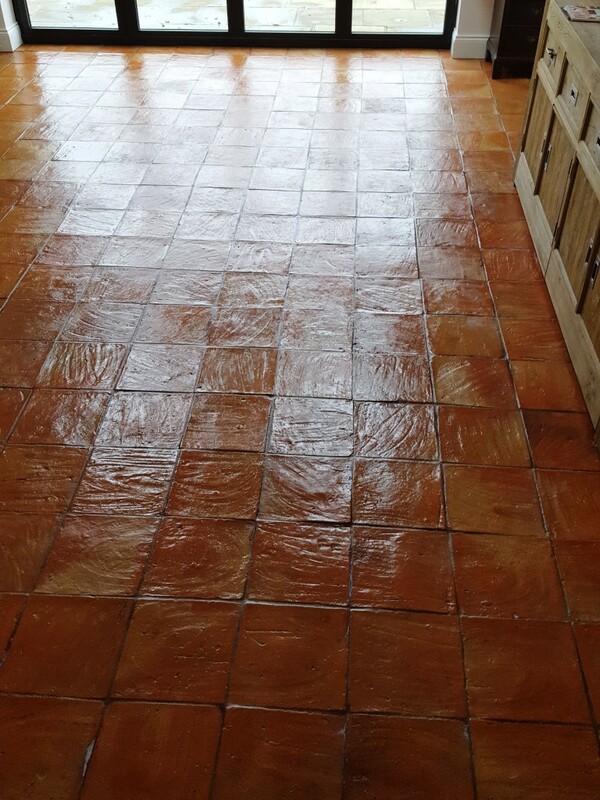 This is a water based topical sealer that leaves no smell and will repel liquid and soil allowing the tile to keep its appearance and making it easier to maintain in the future. 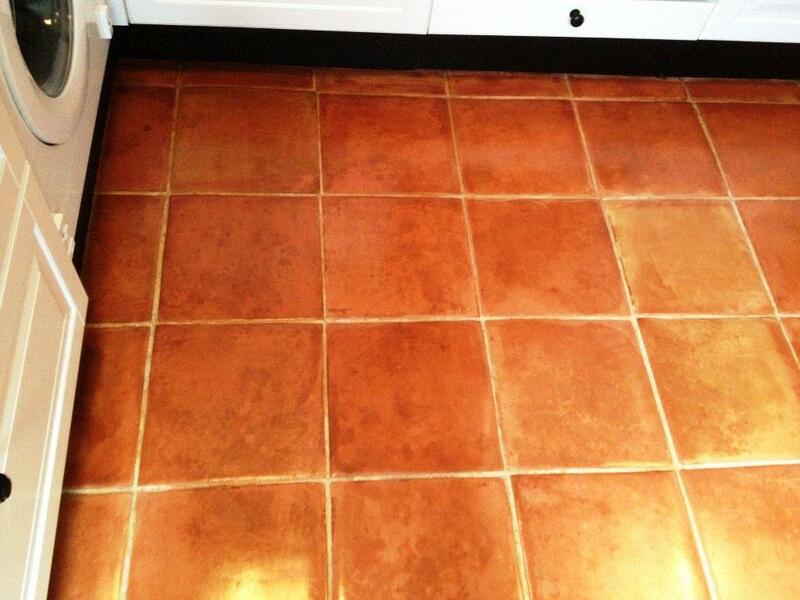 The sealer also gives a high sheen finish which reflects the light and enhances the colours of the stone. 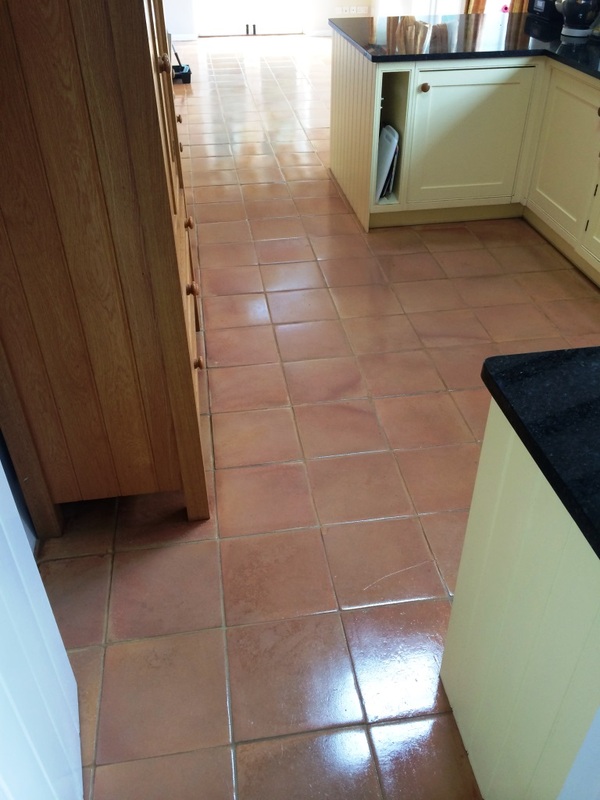 As you can see from the pictures, the restored floor brought the kitchen back to life and made the room look brighter.